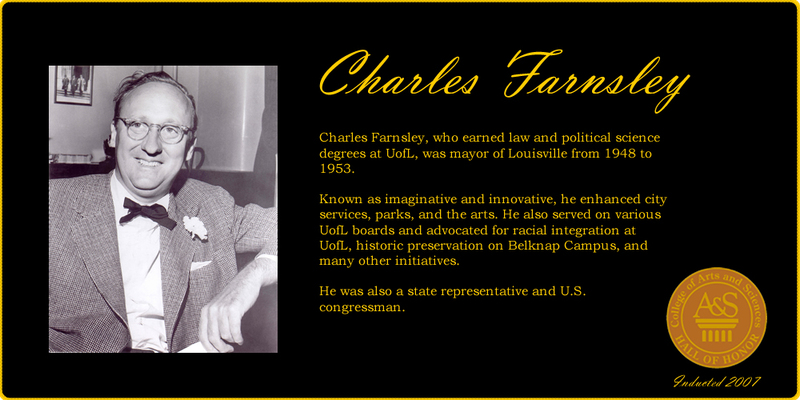 Charles Farnsley, mayor of Louisville, Kentucky and a highly imaginative and innovative public servant, sought to improve the quality of life in the city, and he was one of the University’s greatest champions. He started his connections with the University as a student where he studied law (L.L.B., 1930) and political science (B.A., 1943). 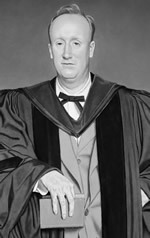 His many contributions to the University include advocacy for a 1950 change in state law to permit racial integration at UofL, promotion of 1798 as the date for the founding of UofL, commissioning the design of the modern UofL Minerva seal, ardent preservation of Belknap Campus historic structures, advocacy for technology at UofL broadening access to books and information, and promotion of UofL’s Southern Police Institute. He was also a member of both the Board of Trustees and Board of Overseers. 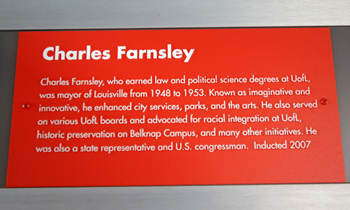 The enduring effects of his political and civic accomplishments can be seen not only at the University of Louisville, but also in the city’s finances, streets, parks and services and in other institutions such as the Louisville Free Public Library, the Louisville Orchestra, and the Louisville Fund for the Arts. 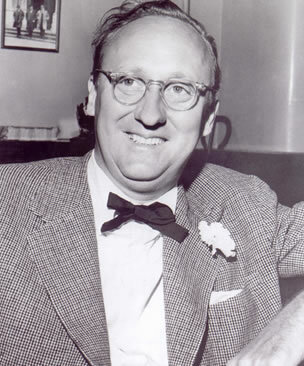 In addition to serving as Mayor of the city from 1948 to 1953, he also served in the Kentucky House of Representatives in the 1930s and was a U.S. Congressman from 1965 to 1967. 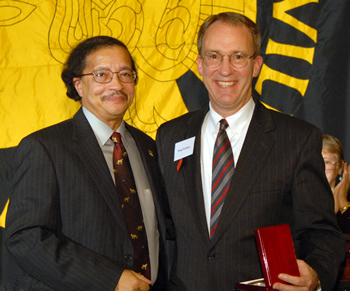 Mayor Farnsley was one of the city’s and the University’s greatest caretakers and advocates. 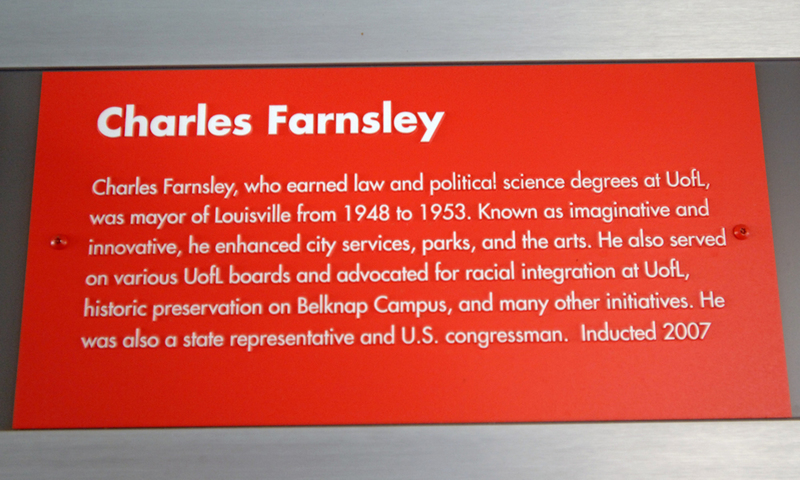 Shortly after he left his five-year term in the mayor’s office, Mayor Farnsley was aptly named the Distinguished Alumnus of 1953 in the first such annual award sponsored by the UofL Alumni Association.